Diabetes is a condition in which the blood glucose (sugar) is higher than normal. The food we eat is broken down into glucose. Insulin, which is produced by the pancreas, moves the glucose from the bloodstream into the body cells for use or storage. People with diabetes, however, are unable to fully utilise the glucose in their bloodstream due to the lack of or ineffective insulin. There are two types of diabetes. Type 1 diabetes is genetic and unpreventable. It occurs when the pancreas does not produce insulin, and it is usually diagnosed in children or young adults. Type 2 diabetes results when the body produces insufficient insulin, or the body is unable to utilise the insulin properly. 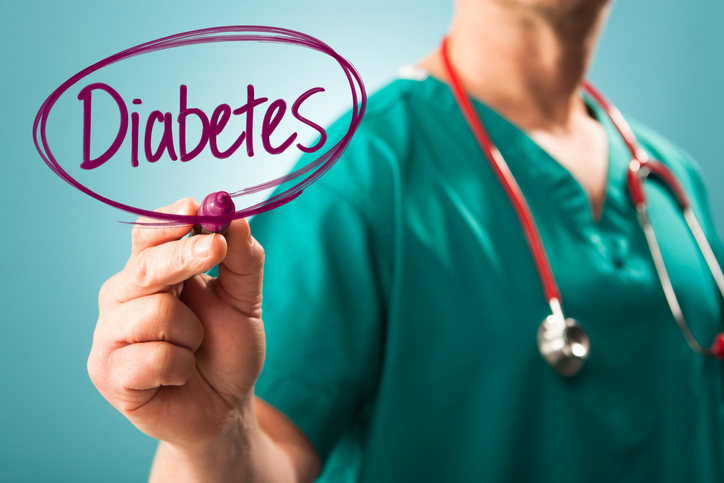 Type 2 diabetes tends to occur in people who are over 40 years old, overweight and physically inactive. It is essential to have regular health screenings if you are over 40 years of age. This helps detect health problems before they become an issue. Prediabetes, for example, is when the blood glucose level is higher than normal but not high enough to indicate diabetes. It is a warning sign that you could possibly develop Type 2 diabetes if you do not make some lifestyle changes. Some other risk factors include obesity, sedentary lifestyle, family history of diabetes or history of gestational diabetes. Simple steps to prevent Type 2 diabetes include maintaining a healthy body weight and staying active. Fact Eating sugary food does not cause diabetes. However, eating too much food high in sugar and fat will cause you to become overweight or obese, which will increase your risk of diabetes. Diabetes isn’t a serious disease. Fact Singapore has the second highest proportion of diabetics among developed nations according to a 2015 report by the International Diabetes Federation. Diabetes is a lifelong disease, and poorly controlled diabetes may lead to blood circulation problems that can cause serious complications. Some of these include impaired vision, coronary heart disease, stroke, kidney disease, and foot disease such as foot ulcers and gangrene, which may require amputation. Fact At this point, there is no cure for diabetes. However, diabetes and its complications can be controlled through a healthy diet, regular exercise, oral medication, insulin injections, control of blood sugar and regular monitoring by your doctor. It is also important that we keep our blood pressure and cholesterol levels in check as part of the overall strategy of diabetes management.